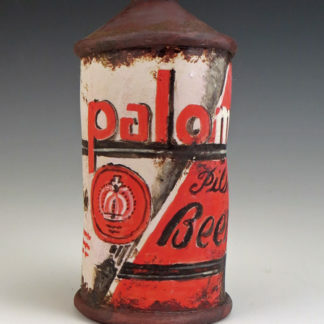 View cart “Rusty Shot-Up Conetop Beer Cans” has been added to your cart. 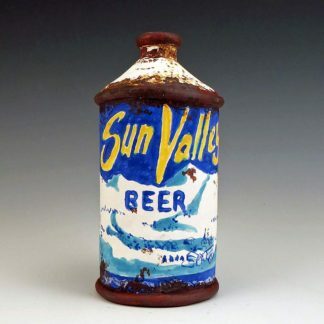 Here is a series of completely ceramic hand-formed and decorated rusty shot-up conetop beer cans. When I say “shot-up” I mean actually shot with a pellet gun by me! (At the soft clay stage.) Each one is undeniably unique. 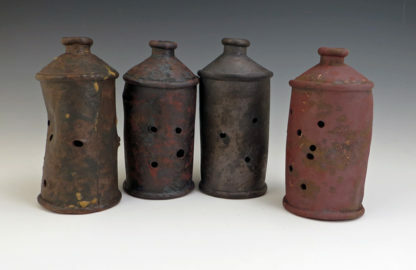 After the bisque firing, they are given the “rusty” treatment in a variety of random layerings so as to make each one look more like it happened than it was fabricated. They look wonderful in a line-up and make quite the unexpected gift. 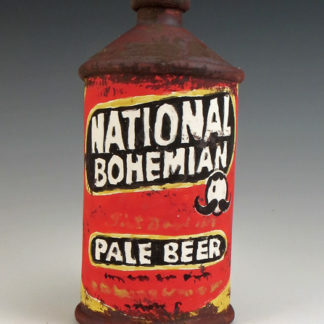 This series of rusty shot-up conetop beer cans is entirely hand-formed, individually shot and completely decorated with fired-on ceramic materials. Alan Watts, the zen philosopher, once said in a talk, chuckling all the while, “It all comes down to a rusty beer can.” Well, in this case, it is literally true. There are so many ways one can enjoy these sculptural pieces, but my favorite is to put them out on your backyard fence. 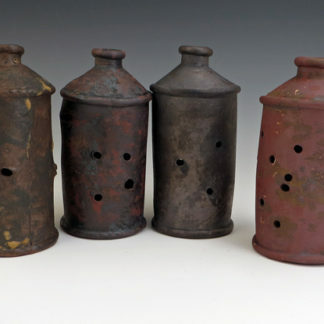 We will choose, but at purchase you can request a range of rust tones from reds to steel blues and more or less holes.